Marcia McEvoy received her Ph.D. in School Psychology in 1985 from the University of Cincinnati. As a Licensed Psychologist, she has worked in a variety of settings including public schools, community mental health centers, child diagnostic clinics, and two universities. She presently owns her own consulting business. On the topic of preventing peer mistreatment and bullying, Dr. McEvoy is sought as a consultant to schools all over the Midwest. She has trained thousands of administrators, teachers, parents, and students, and is currently writing a book on this topic. Dr. McEvoy is also an expert in the prevention of youth suicide. She has trained numerous school-based crisis response teams in the areas of crisis intervention, and suicide assessment, intervention, and prevention. 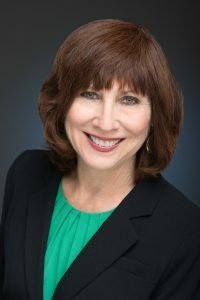 She is the co-author of a book entitled, Preventing Youth Suicide: A Handbook for Educators and Human Service Professionals, published by Learning Publications. Dr. McEvoy has developed a number of prevention programs for youth, including the Peer Assistant Leadership (PAL) Program, which won a national award as an outstanding prevention program. Other school-based curricula she has developed include the prevention of peer mistreatment and bullying, abusive dating relationships, and youth suicide. Contact Dr. McEvoy for help with peer mistreatment and youth suicide prevention programs.